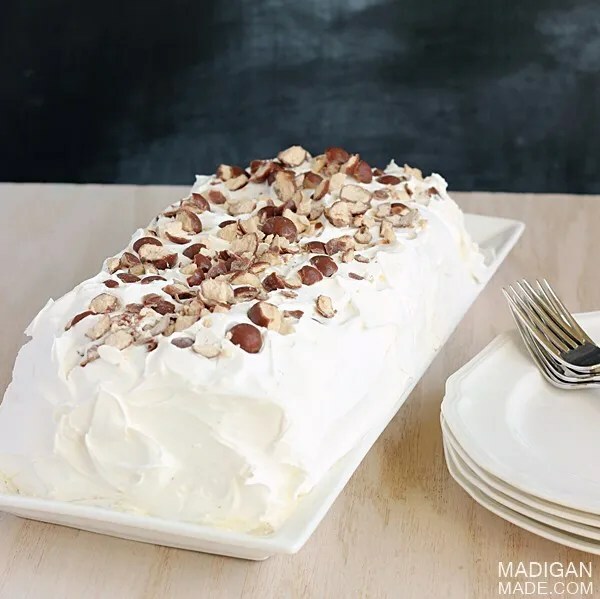 MAKE: an easy malted milk ball candy ice cream cake. Summer weather is finally here in Pennsylvania and I was craving a cool treat. 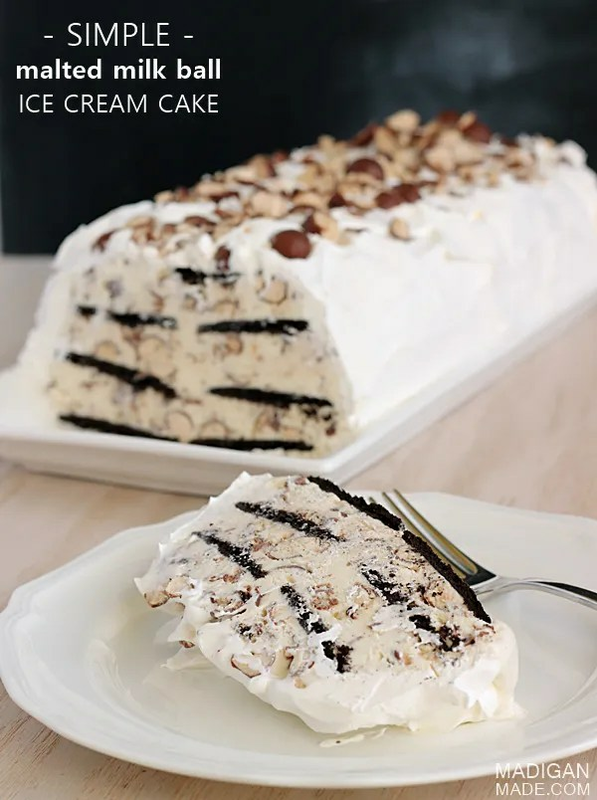 Ice cream cakes and ice box treats have always been on my baking ‘bucket’ list. I work with several people that love Whoppers candy and malted milk. I’ve always wanted to make a dessert out of the candies and malted milk powder. Let’s not forget that I’m pregnant. My nesting instincts and sweet tooth are hard to control these days. But really, do I need a reason to make a cool, creamy and chocolate-y dessert? Good, I’m glad you agree! Do you need a reason to make this cake? I hope not! Especially when you see how easy it is to make and assemble. Place the Whoppers candy in a plastic bag and use a rolling pin or mallet to crush up the candy. Reserve a few tablespoonsful for garnish on top of the cake. 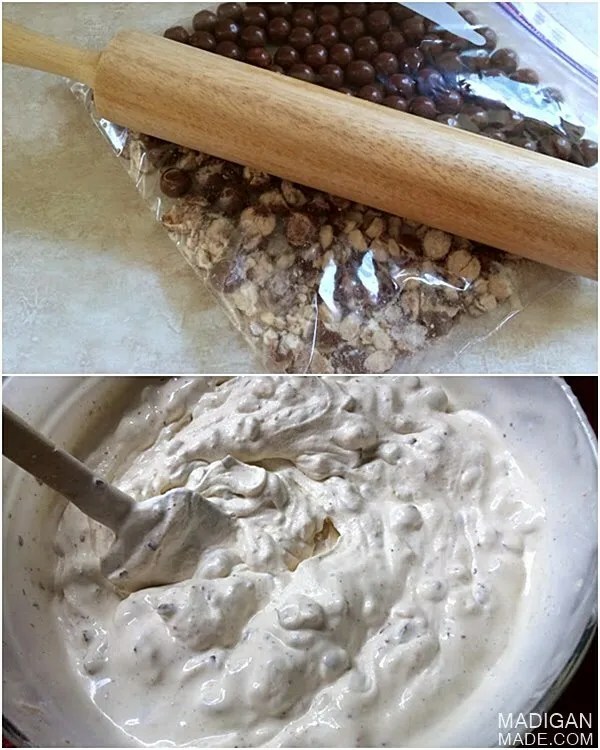 In a large bowl, fold and mix the remaining candy and the malted milk powder into the ice cream until well blended. Spread about one-third of the ice cream mixture on top of the cookie wafers. 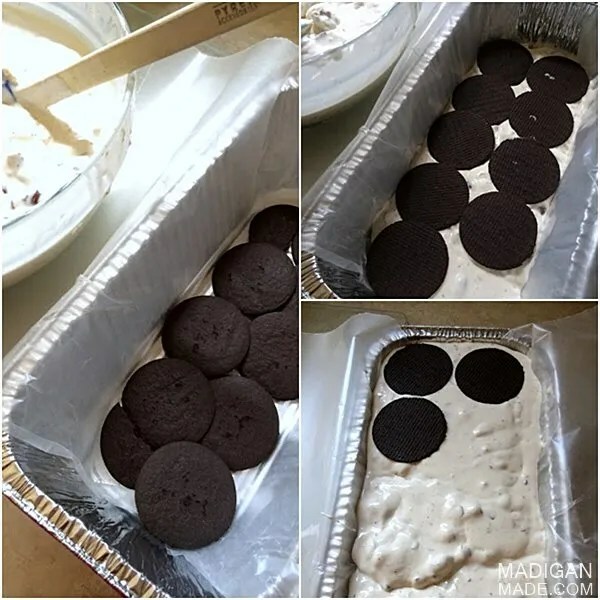 Place a layer of wafer cookies on top of the ice cream and keep repeating these layers until you end with cookies on top. 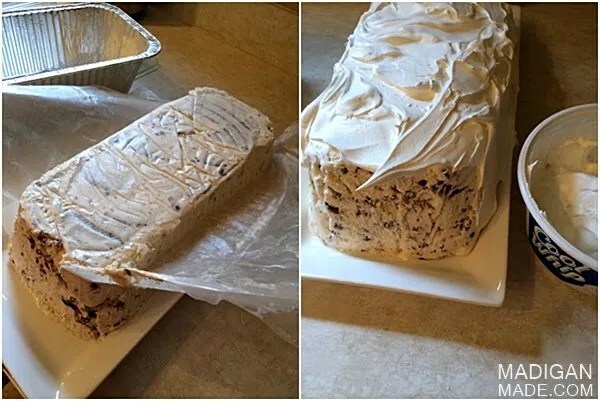 Freeze the ice cream filled loaf pan in the freezer for several hours until the ice cream hardens. Remove the pan from the freezer and turn it upside-down onto a serving platter. Peel away the foil or wax paper from the cake. Ice all sides of the cake using the thawed whipped topping. Sprinkle with your reserved candy pieces on top of the cake. Tent the cake and platter loosely with foil and place the cake back in the freezer until you are ready to serve it. I brought the cake into work and came home with an empty plate. The cake was so good and perfect on a hot day. 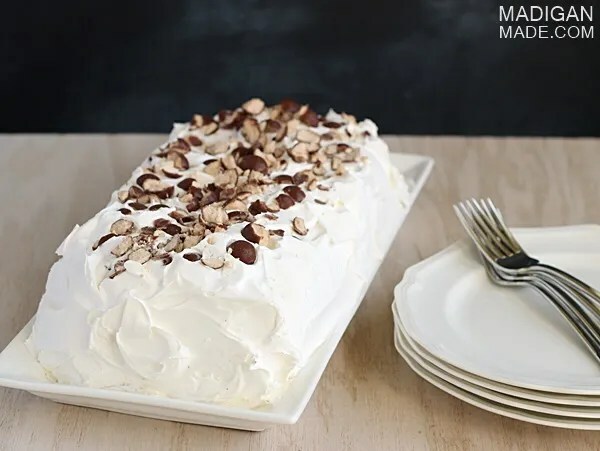 So, go and grab some of your favorite candy and ice cream and make this easy cake to enjoy this summer!